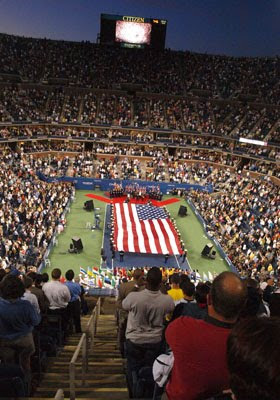 As usual, I don't get to watch the Opening Night of the US Open due to time zone difference. 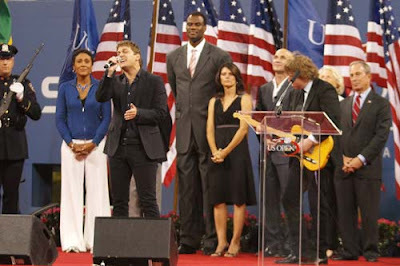 This year, a diverse line-up of celebrities attended the event at the USTA Billie Jean King National Tennis Center. Andre Agassi who gave a speech on education policy, lead the full force of athletes who were honoured for their active participation in charities and giving back. 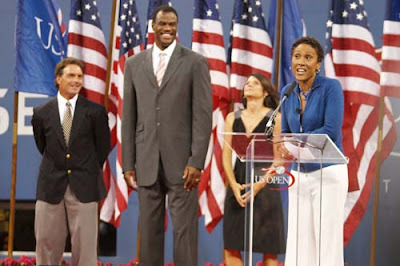 They included soccer superstar Mia Hamm, former NBA champion David Robinson and former NFL star Doug Flutie. Other celebrities who attended this event were Christie Brinkley, Miss Universe Dayana Mendoza, etc. The night wouldn't be complete without fireworks that blasted into the a night sky accented with gold glitter to mark the opening of the season ending Grand Slam.